Socialwhat we've been up to! 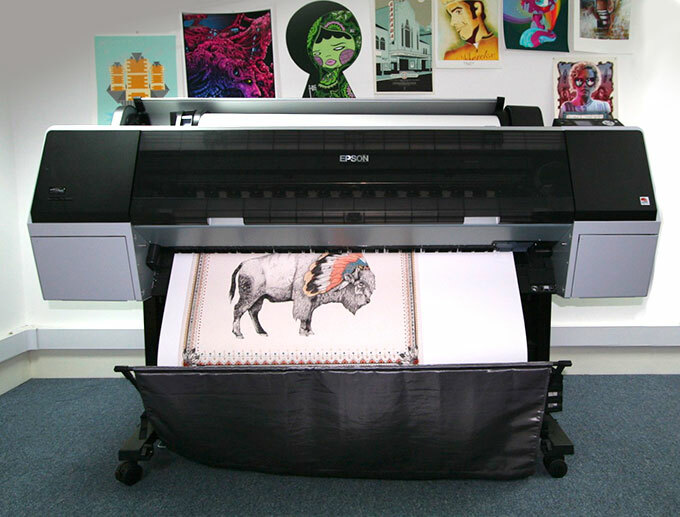 With the capability of printing up to 111.8cm (44") wide, to more or less any length, our 9900 means we can meet the increasing demand for one-off/low-run giclée (high quality inkjet) projects. Using high quality art paper and a 10-colour Epson Ultrachrome ink system (colourfast for 100+ years). * If we've missed you off the list drop us an email... it wasn't deliberate!